← DAM 2.0 – The Battle Is ON! There have been many really imaginative, truly awe inspiring space craft in the movies over the years, but for me the seminal design was from the 1956 thriller Earth vs Flying Saucers. This simple disk with its elegant dome and funny antenna shaped weapon hanging out of the bottom was absolutely fascinating to watch for movie goers of the era. Let me tell you it was an unforgetable joy for those of us who were lucky enough to see it under the stars on the local drive-in screen. This is the first field weapon we’ve published as a downloadable file. You use it a little differently than the models you have been downloading and flying. the models are stand alone complete spaces. You load them and go flying. The field weapons are not stand alone complete. They need a field to live in. Make a folder for the file you download. Unzip the contents of the file into the folder. Run DAM and load a field and a model. They are ready to go fly. But before you do, we need to get the new field weapon into the field. 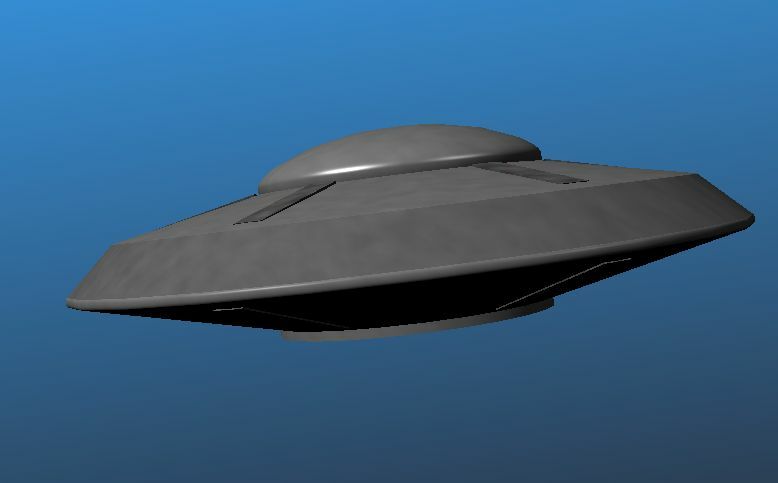 Load the field weapon (in this case, the file “Classic_Flying_Saucer.dam”. It will open in a third space (or tab), this time a “work” space. Now select the top item in the object list. This will cause all the items in the space to be selected. Copy them. Activate the field space and paste it in. That’s all you have to do. 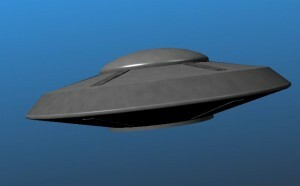 You can now go flying and you’ll see the new flying saucer flying around the sky. If your model has weapons, you can go shoot it down! Modify the speed and weapons! You can also select the new flying saucer (again, select the top item in the list so all the objects in the flying saucer are selected), copy it and paste it. You’ll see another flying saucer appear. Do it again until you have 5 or 6, then go flying. You will see all of them flying around, ready for target practice. You can also select one and translate it to somewhere else in the field. This is the position where the saucer will appear when the level begins. Don’t forget you can change the speed and altitude of the saucer by right clicking on the top control object and selecting “Control Object”, “Edit this Control Object”. The window that opens allows you to change the parameters in any way you see fit. In the near future I’ll write an entry detailing the variables, or publish a pdf on the subject, but for now just play hacker! They are pretty self explanatory and you’ll get the idea quickly. 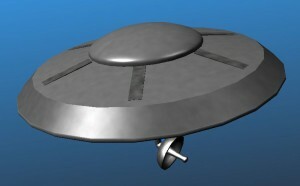 If you load the saucer with weapon, it’s fun to change the saucers gun. Expand the object tree until you see “Field Gun CO” and expand this item so you see “Shell CO (field gun bullet)”. Right click on this item and choose “Control Object”, “Edit this control object”. The window that opens allows you to specify all kinds of things about the gun’s bullet. See the gadget for “Rounds Per Sec”? Change it to 6 rounds per second and watch how the weapon changes. As you can infer, a value of 0.5 would be one bullet every 2 seconds, 0.25 would be a bullet every 4 seconds, and 0.1 would be a bullet every 10 seconds. Get the idea? You can make the gun as accurate as you want. The accuracy is mostly affected by the “Muzzle Velocity”. The higher the velocity, the more accurate the gun. If the “smart” tag is on in the “Field Gun CO”, the gun will not only track where the model is. It will predict where the model will be when the bullet arrives! Any change in flight speed or direction you make between the time the bullet fires and the bullet arrives will allow you to avoid the incoming bullet. The higher velocity means the bullet will arrive in a shorter time making it harder for you to avoid it. Of course this time is also shorter when you are close to the gun. If you change the velocity from the 8000 to, say 24000, the bullet is going to be a whole lot harder to elude. Try it and see. You can download these new field weapons from the Page 4 of the User’s Area. We’ll create a field featuring these Classic Saucers and publish it soon. DAM Version 3.0 is released! Digital Modeling on DAM Version 3.0 is released! Greg on DAM 2.0 – The Battle Is ON!